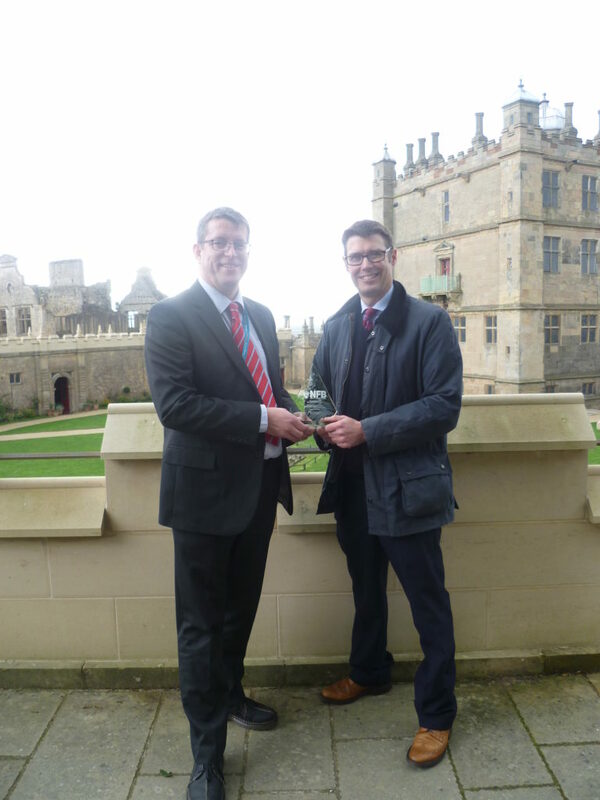 It has been 6 months since English Heritage’s Bolsover Castle re-opened its doors following a £1.3million pound project delivered by specialist heritage contractors Woodhead Heritage to put the personality back into one of history’s most unique and rare architectural gems. It is proving to be popular with visitors and industry alike, the Derbyshire visitor attraction has already seen over 60,000 visitors and has also been highly commended for the craftsmanship involved in repairing and reopening the high level wall walk at the National Federation of Builders Awards. English Heritage injected warmth into the beautiful but previously empty interiors of the ‘Little Castle’ with the addition of carefully researched 17th century reproduction furniture in exquisite silks and velvets in the most important rooms. In the grandest room, the Star Chamber, visitors have been marvelling at the colourful tapestries which now adorn the walls, complementing the stunning gilded blue ceiling and painted panelling. 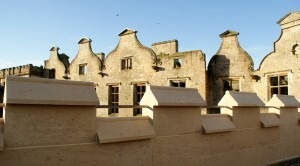 The whole effect adds vibrancy to the Little Castle’s unique wall paintings – including famously risqué scenes – lavish gilded panelling and carved stonework, state of the art decoration created by William Cavendish to impress the royal court. Intrepid explorers have been opening the 17th century-style cabinets to unlock the secrets of the castle and how it was used as an extravagant retreat for relaxing, entertainment, cultural pursuits and parties. Young cavaliers have also been dressing up and acting out famous scenes from the castle’s history. Outside, for the first time in over 250 years, adventurers can stride along Cavendish’s catwalk – the previously perilous wall-walk circling the Fountain Garden, where the cavalier and his aristocratic friends once promenaded to see and be seen. Effectively a wide elevated terrace and now repaired and complete with restored crenellations and obelisks, the walk gives panoramic views across distant countryside and into the garden below as it was meant to be seen 400 years ago. It is this amazing wall walk that saw the team receive an award and commendation for their specialist work at this year’s National Federation of Builders Awards in London. Simon Butler, Heritage and Conservation Manager at Woodhead Heritage, the contractors responsible for the complex conservation said: “It is our job to safeguard the future of historical buildings and conserve these significant monuments and listed sites for the future. A rare survival from the English Renaissance, the Fountain Garden has been taken back to how it may have appeared when it hosted a lavish entertainment staged by Cavendish for a visit by King Charles I and Queen Henrietta Maria in 1634. Original borders have been recreated and planted with fruit trees and bulbs to reflect the imported, or ‘outlandish,’ plants that were then the height of fashion. 500 Dianthus plants were planted along the edge of the borders and have been flowering throughout the summer, enchanting the visitors with their delightful flowers and exquisite perfume. Small quantities of 30 different species of annuals were either sown directly into gaps in the borders or planted into the borders in early summer to complement the existing plantings of shrubs and herbaceous plants to give some summer and autumn flowering interest. A final flourish is the addition of a temporary garden in the shape of a serpent from the Cavendish crest – which in the 1630s, would have been created in fanciful designs just for special occasions. Cut from turf it is filled with coloured sand in the style of the time and now wows today’s visitors looking down from the wall walk. The Little Castle at Bolsover is recognised as one of the most important Jacobean buildings in the country. Complete with battlements, chivalric towers and turrets, it was never intended as a residence, but as a place to relax – where William Cavendish and his family went to from their main residence at nearby Welbeck Abbey to entertain friends or simply enjoy the pleasures of life – banqueting, reading, writing, poetry, plays and music. Bolsover Castle is proving that it still maintains its reputation for entertainment as today’s families have been clambering to enjoy a day out in Derbyshire! Bolsover Castle (Castle Street, Bolsover, Derbyshire S44 6PR) is open daily until 2 November, then every weekend 3 November – 29 March. Admission is £9.50 for adults, £8.60 for concessions, £5.70 for children, £24.70 for a family ticket and free for English Heritage members. Visit www.english-heritage.org.uk/bolsovercastle for more details.